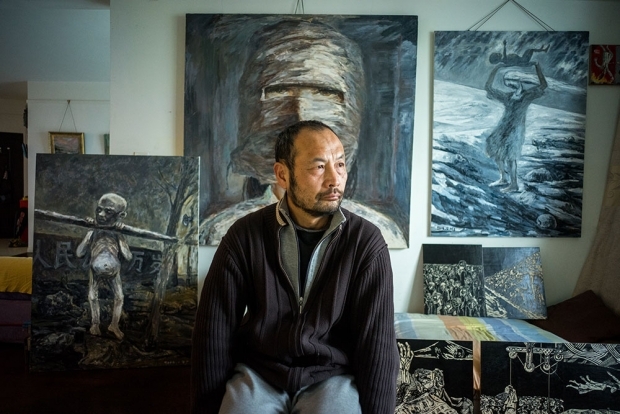 Hu Jie in his studio in Nanjing, 2015. This piece was first published on the NYR Daily on May 27, 2015. I consulted a lot of records. I feel I need the records in order to film, or else I am vulnerable legally. The dead can’t speak but their records can at least tell stories. I think documents are pretty strong. Documentary films need to have an artistic side, but the main thing is they have to be real. Of course it would be good to have visual records, but in this case it’s impossible. 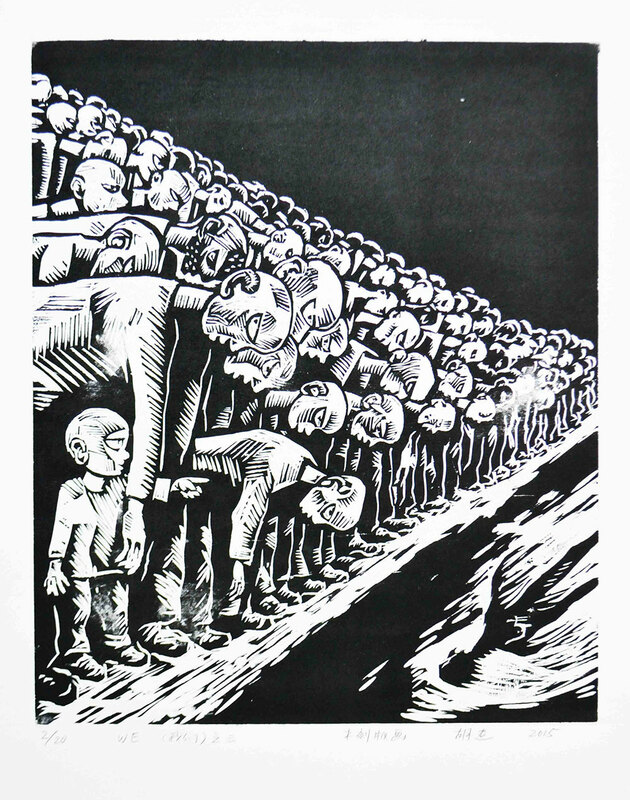 The first issue of “Spark,” an underground magazine published briefly in 1960 to expose the Great Famine. 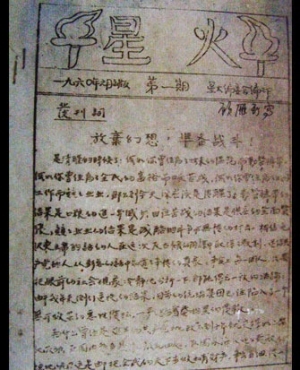 Were you influenced by recent books about the famine, such as Yang Jisheng’s Tombstone? “Let there be light #9,” 2014. “Let there be light #16,” 2015. 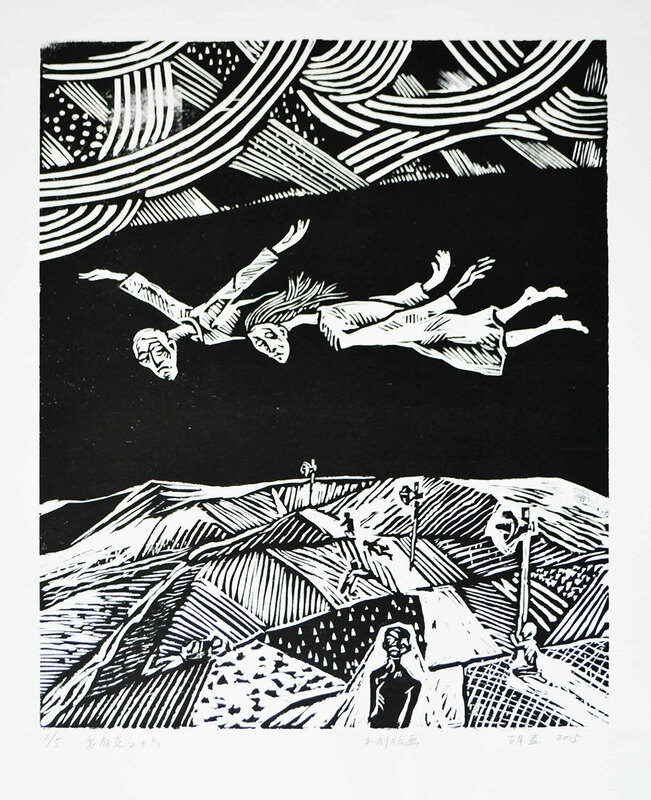 Why do you use the medium of woodblock printing? 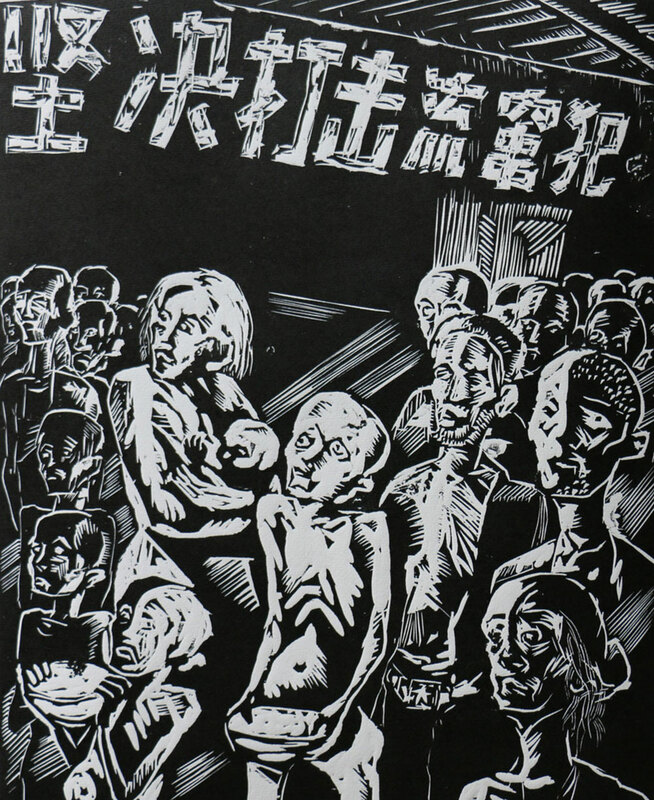 It reminds me of the 1930s and German artists like Käthe Kollwitz, or Chinese artists who used it then too. 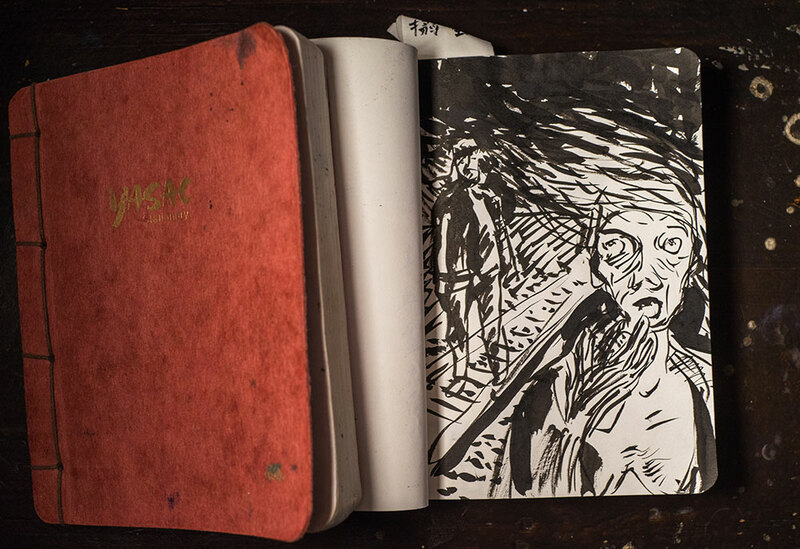 A sketch from one of Hu Jie’s notebooks, 2015.